If a portion of your earnings was set aside in your 401(k) or IRA, that doesn’t mean taxes were forgiven — they were only deferred. And if the investment earnings on these savings or in deferred annuities were not taxed currently, you will still owe money to the IRS at some point in the future. Lastly, if you’ve got appreciated securities in your personal savings, you’ll owe taxes when you sell them. According to the Feb. 4 CBS Money Watch article titled “Why Traditional Retirement Is Dead“, traditional retirement plans are irrelevant. Writer Steve Vernon said that unfortunately people are no longer able to retire in their sixties due to lack of income from debt, decreases in Social Security benefits and medical bills. Sure, “traditional” retirement is “dead”, but only in the sense that “each generation creates its own definition of security”, as a colleague of mine once said. Getting the gold watch at the company lunch, and then retiring to a warmer climate to play golf or whatever, with the security of lifetime benefits from the company pension plan and Social Security, along with personal retirement savings that hopefully fill in the rest may no longer be the norm. While today’s and tomorrow’s retirees may have more lifestyle choices, they also have to do a better job of “to and through” retirement planning. The article lists medical expenses as one of the main costs during retirement, and that approximately 50 percent of retirees said they stopped working due to medical issues or disabilities. Vernon noted that a 65-year-old couple would need $240,000 in the bank to pay for health expenses during retirement, according to a report from Fidelity Investments. 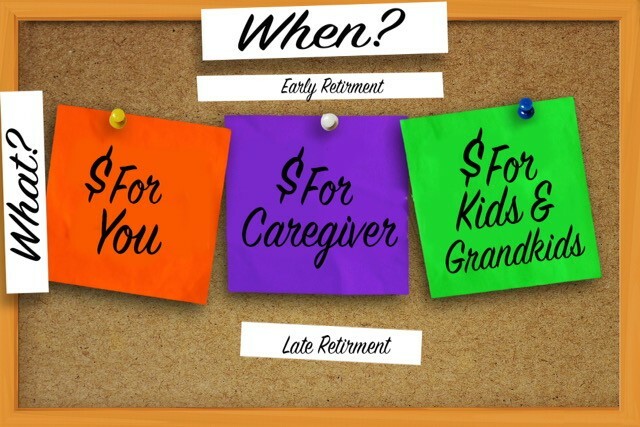 That’s why we have developed a retirement planning method called Savings2Income (S2I) – to provide a clear path to retirement security for those saving for retirement, soon to retire, and recently retired. S2I incorporates Rollover IRA savings, personal retirement savings held outside an IRA or 401(k) plan and Social Security into an integrated solution to provide results in total similar to what a “traditional” plan typically provided. As Mark Twain is reported to have cabled from London after his obit was published, “The reports of my death greatly exaggerated.” The same could be said for “traditional retirement”. Blog re: End of Year Tax Planning – Yes, Again! Over the next few months, I’m sure you’ll see a lot of stories regarding year-end tax planning. (Here’s a link to a typical story: “What Some Investors Are Doing to Anticipate a Tax Increase” by Paul Sullivan). This year, these stories should be more numerous, mainly because of the uncertainty surrounding the so-called Bush tax cuts. Unfortunately, most of the advice reported on is likely to be based on a flawed approach: they’re likely to ignore the purpose for which these taxable investments are being held, e.g., supplemental retirement savings; part of wealth transfer program; college education fund; or short term expenditures such as a wedding, home renovation, travel plans, etc. Each broad category of savings should have its own unique strategy in the current economic environment. 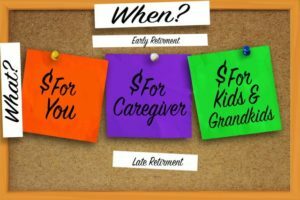 Let me deal with one I’m most familiar with – supplemental retirement savings. As the founder of the Savings2Income (S2I) planning method and sponsor of the www.Savings2Income.com website, my team and I studied this area considerably to develop what we consider the best approach to saving and investing for retirement. While S2I is primarily focused on the middle market and mass affluent investor, the strategy works for HNW investors as well. Here’s how both types of investors ought to apply the strategy as part of their 2012 year-end tax planning, as well as longer term retirement planning. Sell a portion of these taxable investments, realize any capital gains in 2012 at the lower capital gains tax rate, and establish a new cost basis for these net assets. Invest these net proceeds into a no load Variable Annuity to be used as a future source of your retirement income. If you follow the S2I planning method for converting savings to income, this strategy can produce a dramatic increase in after tax retirement income derived mainly from lower fees and tax deferral. Almost as important, you’ll be able to tune out on all tax and investment timing discussions on this important part of your savings. And, you’ll only pay taxes on what you withdraw (even then, some of what you withdraw is considered a return of principal, not income) and not on what you earn each year on this part of your savings. Even if the Bush tax cuts don’t expire and/or are continued for you, it is still a good strategy to consider.